To kids it might just be a fun way to wash their hair but parents can rejoice that as they play away, the Plui Rain Cloud is also providing endless learning opportunities. 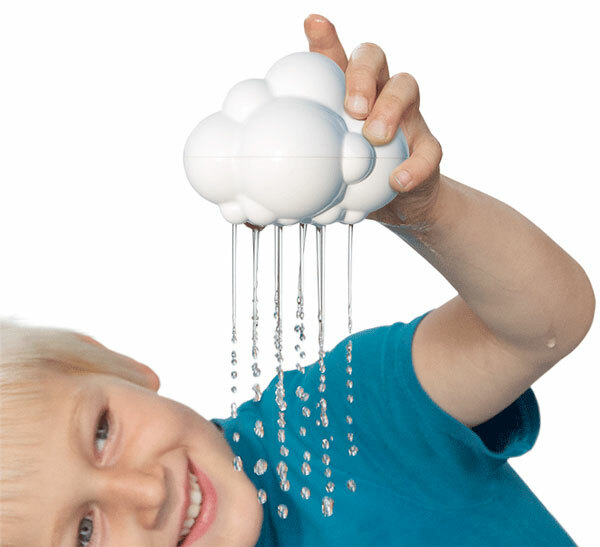 The Plui rain cloud is the latest in a growing list of innovative toys from Moluk – the makers of the award-winning Bilibo. The brother and sister duo are becoming renowned for their deceptively simplistic design which appeals to children’s sense of imagination while creating fun and tactile learning experiences. 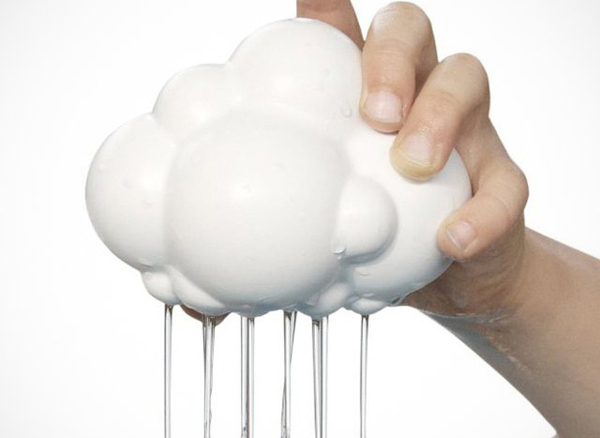 Kids will get hours of bath time fun with the Plui Rain Cloud. Immerse the Plui Rain Cloud in water to fill it up then cover the nozzle and lift it out. The water won’t rain out until you lift your finger off the nozzle. Parents will love the little details that set this toy apart from the rest. It has educational value. Apart from providing the perfect opportunity for sensory play with littlies, this rain cloud also beautifully illustrates the cycle of water and it works like a pipette introducing kids to simple physics. BPA-free, phthalate-free and latex free, it can be cleaned. Hallelujah, a bath toy that isn’t going to end up a mouldy mess! There is a hidden mechanism that allows parents to open the cloud for cleaning. It has such a broad appeal. Perfect for boys and girls from babies to tweens and in the bath to the pool or outside play. This toy is made to last and can grow with your child. The Plui Rain Cloud can be found in Australia in some select baby shops or online at Metro Mum where it costs $17.95. See our post on the original Plui bath toy.